Larry Whaley grew up with a passion for construction and design. As a young boy in Maysville, Ky., he spent hours creating model houses and other imaginative structures with American Plastic Bricks and Erector Sets. Hoping to turn his passion into a successful career, Whaley enrolled in the University of Kentucky’s school of architecture in 1964; however, after one semester, he decided to switch to civil engineering. His four years in the College of Engineering convinced Whaley he had made the right decision. As graduation neared, Dr. Don Wood, one of Whaley’s favorite professors, encouraged him to apply to graduate school. Whaley moved to Houston and enrolled at Rice University in 1969. While at Rice, Whaley became fascinated with several building projects in Houston, some of which were structurally engineered by Ellisor Engineers. 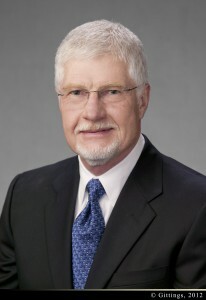 Whaley secured an interview with the firm, accepted an offer and began his career at Ellisor after completing his master’s program in 1971. In 1976, two former Ellisor employees, Aubrey Gentry and Gene Haynes approached Whaley about joining them as a partner in a new firm. Deciding to take a risk, Whaley left Ellisor to start Gentry, Haynes & Whaley. For the next five years, the company benefitted from an enormous construction boom. Serving primarily the private sector in the Houston area, their staff grew to nearly 50 people and in 1981 they began work on their first high-rise building. However, their early success was tested in the mid 80’s as the “oil bust” hit Houston. Gentry left the company and the firm became Haynes Whaley Associates. To deal with the challenges they faced, Whaley removed himself from engineering production, worked to reorganize the company and focused on running the business. “Two significant opportunities enabled our reorganized company to flourish. In 1981 we were selected to join the design and build team for The Menil Collection—a Houston museum that houses one of the world’s largest private collections of art. This prestigious project collaboration with globally renowned architects and engineers gave us prominence,” Whaley recalls. “In addition, in 1986 we opened an office in the Washington, D.C. area to provide services to Texas clients that had moved into that market.” Twenty-five years later, the D.C. office is thriving, having completed projects all along the eastern seaboard. Building off those two opportunities, Haynes Whaley Associates was in a position to diversify to other building sectors such as higher education, healthcare, hospitality, multifamily housing, corporate campuses, mixed-use developments and government entities. Currently the firm is designing the new ExxonMobil Corporate Campus in north Houston, one of the largest projects currently in design and construction in the U.S.
Whaley has led the company for 35 years and with strategic vision has enabled it to become one of the top structural engineering firms in the country with offices in Houston and Austin, Texas and Washington D.C. and three affiliate companies. They have provided services for projects in 40 states, the District of Columbia, the U.S. Virgin Islands and in selected foreign markets. In addition to an extensive and prominent client list, international stature and numerous design awards, Haynes Whaley Associates excels in community involvement. In 2012, they were selected as a Star Award winner by the Houston West Chamber of Commerce. Mr. Whaley lives in Houston, Texas, with his wife Charlotte. They have two daughters.